Adventure travel and photography blog by photographer Braden Gunem of Kethcum Idaho and Crested Butte Colorado. » An excellent adventure in Laos. 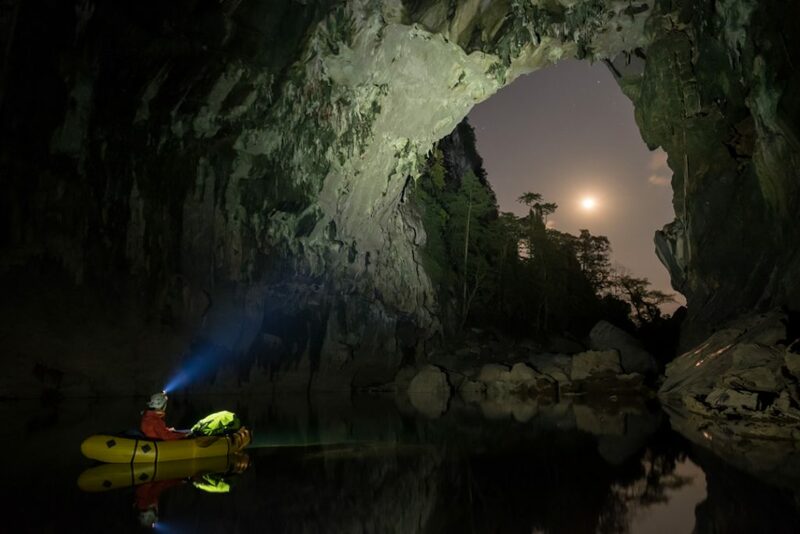 Packrafting the Xe Bang Fai river cave. Last winter Claire and I were caving and packrafting in Northern Thailand. When some friendly cavers told us we needed to take are Kokopelli boats to the giant Xe Bang Fai ( Tham Khoun Xe ) river cave in Laos. A week or so later we rolled into the dusty town of Bualapha. This region isn’t exactly tourist ready. They are still cleaning up the unexploded ordinance from the Vietnam war. Many people were less than friendly towards us (white Americans) and travel here was difficult. While we were there the first restaurant opened in a shack near the entrance to the cave. They are planning for big changes. Go now.